"Our goal overall is to reduce waste and become more efficient in our kitchen production - that will allow us to focus on more innovation and more quality." Understanding labor and kitchen inefficiencies by measuring and managing food waste is allowing Palomar to course correct and free up time and resources that will allow them to better serve their patients, and be better stewards of the planet. Palomar Health is a participant in Smart Kitchens San Diego, a "Save the Food San Diego" initiative spearheaded by the San Diego Food System Alliance. Funded by the CA Department of Resources Recycling and Recovery (CalRecycle) through California Climate Investments, the Smart Kitchens San Diego program is designed to reduce carbon footprint by redistributing food that would otherwise end up in a landfill. 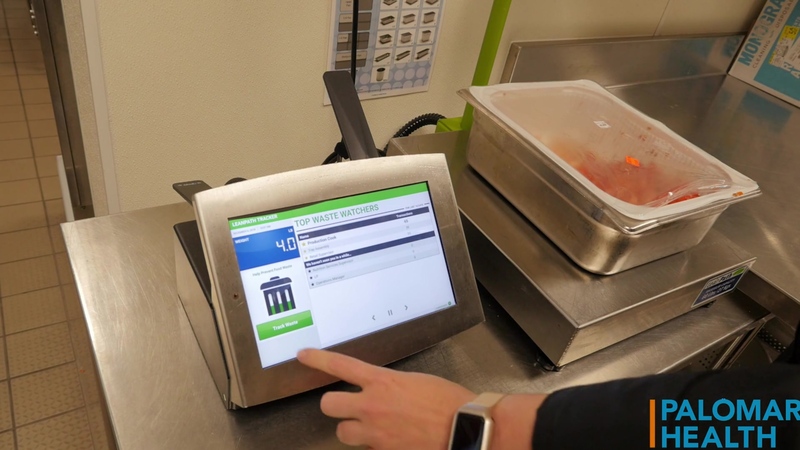 Fourteen of San Diego County’s largest hotels, hospitals, and universities participate in SKSD, which provides sites with subsidized Leanpath food waste tracking technology. In addition to preventing food waste at the source, SKSD creates a diversion opportunity by setting up food donation programs at each participant site. Food donations go to local San Diego Food Bank partner agencies to help nourish the growing number of children, families, and individuals facing food insecurity in the San Diego region. To see how Leanpath food waste tracking technology is helping thousands of foodservice operations around the world achieve a triple bottom line return, check out our case studies for every industry.